You know what I'm really loving right now? Pairing cropped tops with high-waist bottoms. Yeah, I'm a little bit late on this but I guess some of us take longer to get around trends. I mean, just because something is trendy doesn't mean you have to wear the life out of it, right? You have to somehow still "customize" the trend to make it fit for you. I think that's why fashion or personal style blogs are interesting because no two bloggers are exactly the same. There may be similarities here and there, but essentially, their takes on trends are personal and often give you a variety of options you can try out for yourself to see which one will fit you style-wise and taste-wise. 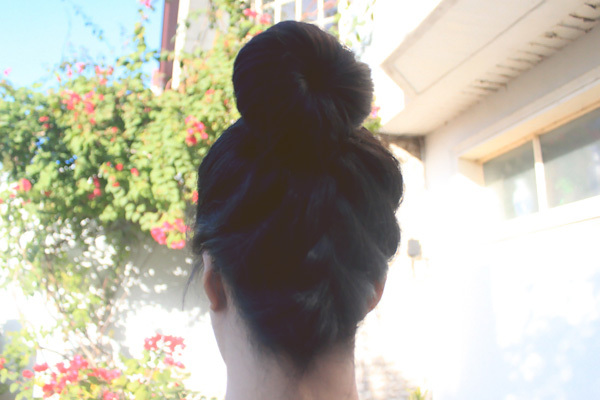 Upside down french braid bun! However, if there is something I would change or add to this look, it would probably be an oversized or boyfriend blazer. Just to balance everything out. I feel like this is all too fitted and it makes me look tinier than I really am! always looking forward to your different hairstyles! Miss you Megann! Aww, thank you Verge! So nice to see you last week & I miss you already! I totally relate with this post. 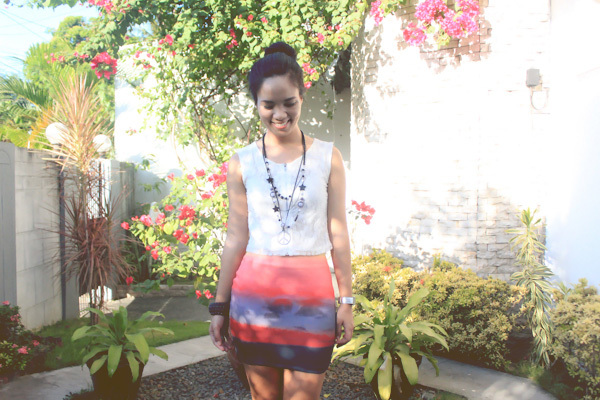 I usually observe the other gals on how they pull-off the trend outfit. And yes, from there you'll know which style you will get into or else you will look timid. I am completely with you when it comes to the trend matter, I hardly ever mind following a trend once it explodes! Mostly because my style is incredibly basic so I wear kind of the same clothes all over the year for... nearly a decade. I suppose I have found my style and playing around with trends is no more fun to me. Also I get you in the thing that you hopes people actually read your blog. I am often worried that people only come to my blog and read the title of the post and look at the pictures and leave a silly comment just to get a comment back! Especially because I bother writing big posts - wow, and when it's a review it's big like a bible - in the hope that what I wrote might be useful to someone and big comments in other people's blog actually talking about what they wrote. Thank you Isabela! Yes, yes, I'm completely with you on this :) I'm really thankful whenever I receive comments that answer what I've written about or what I've asked on the blog post. It makes me feel like my blog is more than the pictures I post. Cute look! The skirt is amazing!